long periods of time and be quite content with their own company. They use their potty box by themselves and usually won’t engage in destructive behaviors or overeating caused by boredom. …are living creatures and are domesticated pets. carefully when deciding to adopt a cat, or any live pet. Honestly evaluate whether you can devote the time to a pet that a living creature deserves. Even within a pedigreed breed, you will find a variety of personality types. 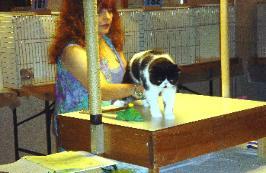 The disposition of a breed is a general guideline for that cat’s characteristics. There are always going to be some cats that are more affectionate and demand their people’s attention. Then there are the aloof cats that can be left alone with occasional petting. Some race through the house like maniacs. Some stay on top of their kitty condos. Some like to watch the birds & squirrels through the window. Some like the water out of the fish bowl. Some prefer to snooze in the bathroom sink. Some would rather sleep on your pillow. Some will only eat canned. Some need to be only children. Some are a wonderful kaleidoscope of all these things! Like I said, they are all individuals…true cat lovers celebrate their uniqueness! Different breeds have their usual personality characteristics. Remember that within those characteristics you will still find distinctive fur-folks. Let your next kitty choose you! …are sweet and generally laid-back cats. trying to catch a kitty teaser or laser light. …tolerate dogs on a case by case basis. again…it depends on the individual. and adapt easily to new environments and situations. Sure they’re going to hide when they first get to their new home. come out of their shells more quickly. that give them the look of luxurious royalty. …eyes, head, stocky body, and heavily boned legs. …come in an amazing array of colors, patterns and coat lengths! …ever seen the Fancy Feast cat?...and don’t forget the goldens! …any of the above colors can come with white…how striking they are! Visit the Silverdance website under "Breed Standard"
to see an exceptional photographic display and explanation of colors! and, all of these color choices come in a shorthaired style! 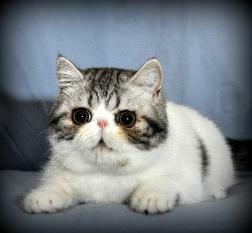 breeders set out to create a shorthaired version of their beloved Persians. but with a lower maintenance coat. are zots who hold their own in the show halls against their Persian cousins. only wearing a plush, teddy bear coat. look, but don’t want to muss & fuss with all that hair…but don’t be fooled! Exotics shed a lot, just like Persians! They may be “low-maintenance” but they are not “no-maintenance”! When a Persian sheds, the hair gets caught up & mats. When an Exotic sheds, the hair mostly falls out & gets everywhere. They can get matted in the areas where their fur is longer & softer. The nice thing about the Exotics is that maintenance combing is much quicker. no matter which of the two breeds you choose. One of the reasons I have chosen to breed Exotics is the ease of grooming. …also come in long hair! …and even to us breeders sometimes! a longhaired Exotic is genetically (in regard to hair length) a Persian! I jokingly call them "Persian Impostors". they are called homozygous for shorthair. 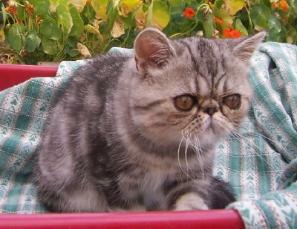 shorthaired babies, even if bred to a Persian or longhair Exotic. like any purebred animal…even though I think they are a purrfect cat! to withhold facts about potential problems with their chosen breed. 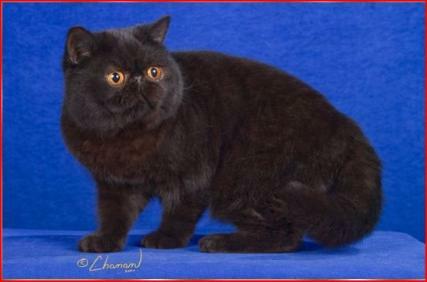 before adopting a Persian or Exotic. and will not sell their cats to pet shops, labs, or kitten mills. understand what life with an Exotic or Persian will be like. or thrown out onto the streets to “fend for themselves”. Their large eyes may tear more and can stain the fur near the eyes. They are also prone to chronic eye infections. The area under their eyes needs to be kept clean and dry to prevent bacteria growth. Their luxurious coats need to be groomed daily. They shed and mat easily. During shedding season (usually when the weather changes), they can tangle over-night. The shorthairs will make you feel like you’ve inhaled enough hair to knit a sweater. No matter how often you groom them, you will always find hair…everywhere! Be realistic…budget a kitty bath at the groomer’s once a month if you can't bathe your kitty yourself. …make sure your adopted kitty’s parents have been PKD-DNA tested negative…better yet…have your kitty PKD-DNA tested as a contingency to the sale. …you might find landmines throughout your house as they drop off. Feline Infectious Peritinosis, & Hypertrophic Cardio-Myopathy. A lot of things go right, but a lot of things can go wrong. Mothers have difficulties and need emergency c-sections. Babies sometimes don't thrive for a variety of reasons. risks so you can make an informed decision. to get started in a way that is best for you. …only a few specimens are really worthy of being bred. and ensuring the most well adjusted and social animals leave our homes. Breeding animals should not be taken lightly. It is not a money making business! close to helping recoup the costs of having a responsible breeding program. But, it is a welcome and needed part of financing our hobby. 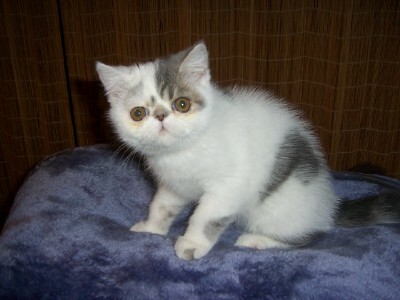 pet homes) for vaccinations, worming, and altering. There are many rewards and happy times ahead for anyone who breeds purebred animals. but well worth it for those of us who are "hooked" on the Fancy.